2018 Black Friday Week / Cyber Week Sale is ON! Thread: 2018 Black Friday Week / Cyber Week Sale is ON! 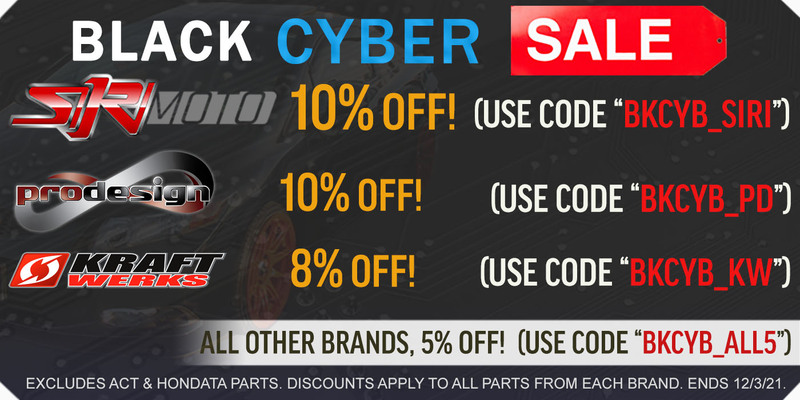 Our Black Cyber sale for 2018 has officially started today! The sale ends at the end of the day on November 30th, so be sure to place your orders soon. Hope everyone has a great holiday season! PRO Tip: If you want to purchase parts from multiple brands, separate the parts out so all the ones from the same brand get put into the same order. You'll maximize your savings that way! By PRL Motorsports in forum Vendor Showcase!!! Black Friday? Cyber Monday? Whatever. It's a Yospeed SALE!